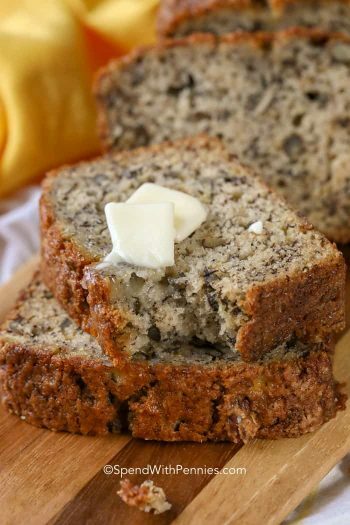 Overripe bananas usually become banana bread… Don’t get me wrong, banana bread is wonderful, but sometimes I just want something different!! 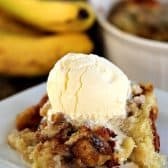 This pudding cake can be made in either a 1.5 or 2 qt casserole dish. 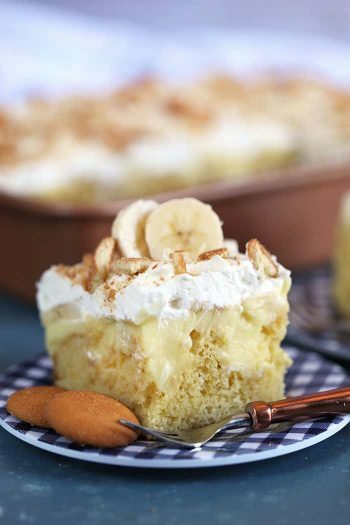 This Banana Pudding Cake creates a soft fluffy cake with a delicious sauce! 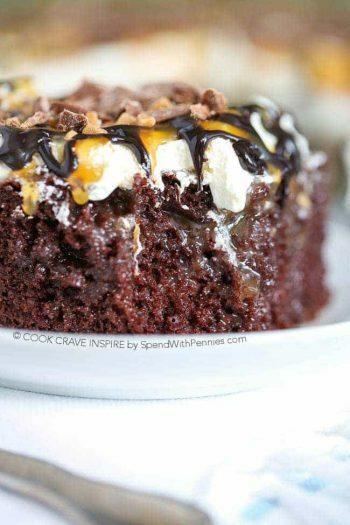 This cake doesn’t actually contain pudding, a pudding cake usually refers to a cake that bakes up with a yummy sauce underneath… and this one is no exception. In a medium bowl, beat egg whites until foamy. Add 3 tablespoons sugar and continue beating until stiff peaks form. Set aside. 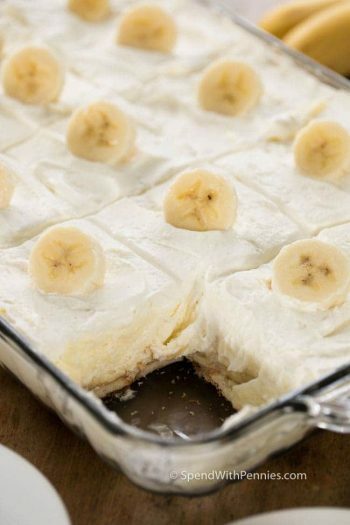 In a bowl combine 1/3 cup sugar, butter, egg yolks, 2 mashed bananas, vanilla and lemon juice until well combined. 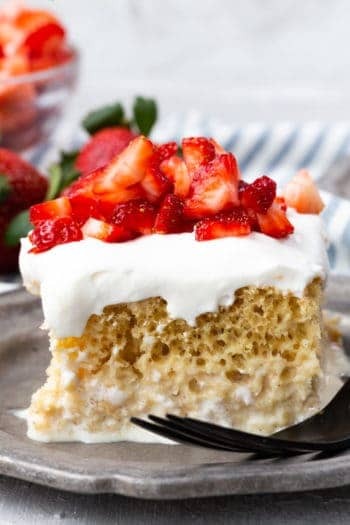 Mix in flour and baking powder. Gently fold in beaten egg whites. Spread into a casserole dish. 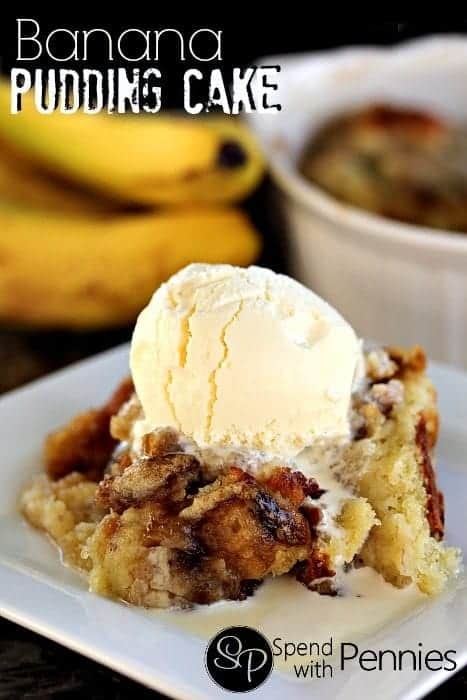 Top with brown sugar. 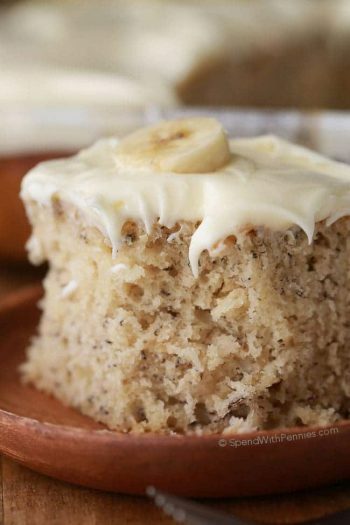 Blend together 1 cup of hot water and remaining ripe banana. Bring to a boil over medium heat (on the stove or in the microwave). Pour over brown sugar. DO NOT STIR. Bake 25-30 minutes or until set.